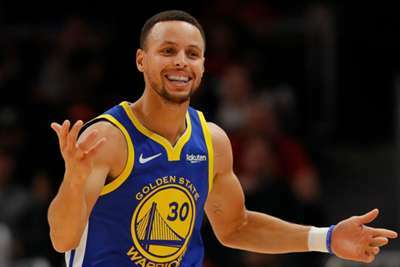 NASA has invited Stephen Curry to see "hundreds of pounds of moon rocks" at the Johnson Space Center in Houston after the two-time NBA MVP suggested the 1969 landings were faked. Speaking on The Ringer's 'Winging It' podcast, Curry questioned whether man had ever landed on the moon, and he received support from Vince Carter, Kent Bazemore and Andre Iguodala. During a wide-ranging discussion, Curry moved the conversation from dinosaurs to space exploration, asking: "We ever been to the moon?" After his fellow NBA players replied 'no', the Golden State Warriors star added: "They're going to come get us. Sorry, I don't want to start conspiracies." Curry went on to state his case for the landings having been faked, which prompted NASA to issue a statement inviting the three-time NBA champion to see the evidence for himself. "We'd love for Mr. Curry to tour the lunar lab at our Johnson Space Center in Houston, perhaps the next time the Warriors are in town to play the [Houston] Rockets," NASA spokesman Allard Beutel told the New York Times. "We have hundreds of pounds of moon rocks stored there, and the Apollo Mission Control. "During his visit, he can see first-hand what we did 50 years ago, as well as what we're doing now to go back to the moon in the coming years, but this time to stay."